Picture was taken yesterday morning, Thanksgiving, at the rehab. Mom is always so glad to see either Bobo or Rita! And, the dogs are really surprised to see her too. I've got Matee and Hops signed up to visit also. I rarely make it through the hallway without some of the residents stopping me to see whichever dog I'm toting along. It's sweet to see the smiles on these elderly patients. For some of them, it's the highlight of their day. Mom is working hard at her rehab but I'm having a problem getting calories into her. I've got her on her appetite enhancer but she's not particularly interested in eating. Without calories, there's not much reserve energy for rehab so she knows the importance of eating. My new goal for her is 1500 calories a day. We'll see how that goes. I've always been in awe of Mom's internal strength but, each and every day now, I'm inspired more and more by her will. She so wants to come home and I so want her home. She's really working hard to make that dream a reality. I'm always surprised to read the nice comments left on my Squidoo articles but the comment below is one of my favorites. It's from a new online friend, Leslie - she left it on my Death and Dying - the final moments of life on earth article. I'm reposting with her permission. Such a beautiful lens. My mother died this Memorial Day. She chose hospice since she wanted to (and succeeded in this) discontinue all her meds in the hospital and nursing home - but she only lived for four days of the hospice care. She was in such great pain that living had become torture. You present a passage that I can relate to, as I was the only family present for the last months and especially the last weeks and days. Thanks for emphasizing the beauty of sending the dying parent off with loving statements of care, and reminders of how glad you are to have had them for a parent. That's what I did (after we had used every moment possible during the dying month to express our caring), along with prayers - it just seemed the right thing to do. I read this lens before and it was such an encouragement to me, but I never really thanked you. Presenting information like this is a real gift, and I congratulate you. You did encourage me to not only concentrate on what is really important, you also caused me to think twice about becoming active in the squidoo community, and for that I thank you also. We are all in this life together and we need to support one another. Boy, she's right on that one! Leslie is a 12 year cancer survivor (!) and writes some beautiful articles about her experiences. Please visit her profile at squidoo by clicking the following link: Papier's Lensmaster page. I'm very thankful to my online friends and my personal friends for supporting Mom and me through this latest health scare. 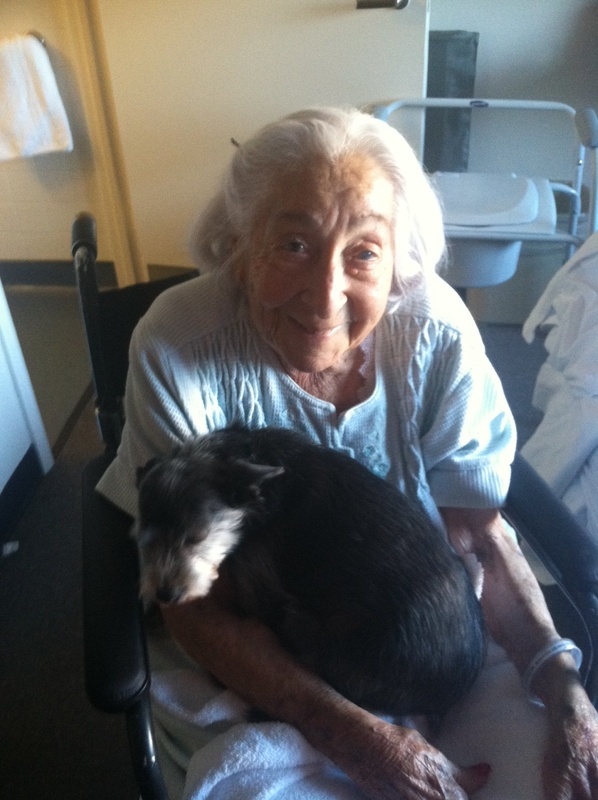 Your visits to the nursing home really brighten her day, and mine. Thank you from the bottom of my heart. And, a special thank you to Kim and her family for the visit yesterday (Thanksgiving) and the food you made us take along. Kim's son, Alex, entertained us with some great tunes on the piano - he's very gifted. In fact, Kim is raising two wonderful young men - her youngest son, Mitchell, is quite the artist! And, a big thank you to Bobbi for the food you prepared for mom and the laughter you shared with us last night. John and I had probably the most memorable Thanksgiving ever. It turned out to be pretty wondrous. And, again, for that, I'm very thankful. it is a very good and mesmerizing story.which make us feel that one day we all youngster will grow old and experience the same as she is feeling right now.